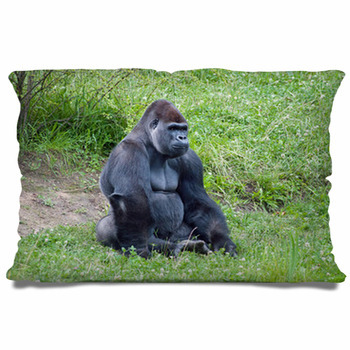 The gorilla is known for having an intense coat of hair that will keep it warm even in the coldest conditions during the evening. 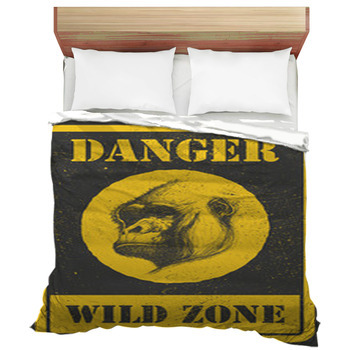 You need a good bedding set that will keep you warm in the evening. 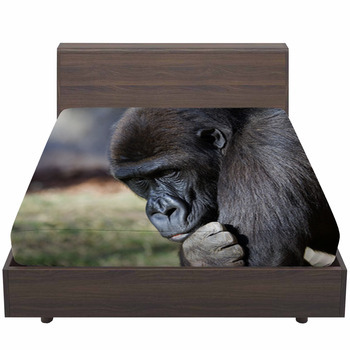 Fortunately, our gorilla bedding sets will be perfect for you to add to your home. 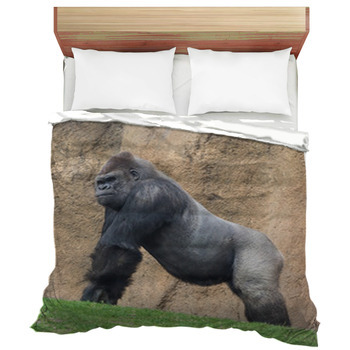 You can order gorilla bedding, pillows, blankets and rugs that feature pictures of assorted gorillas in action. 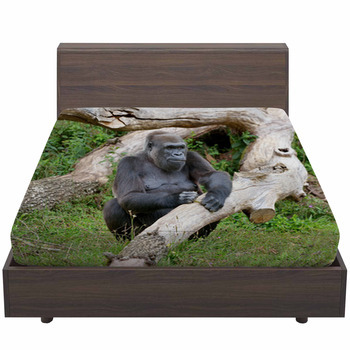 These include some strong shots of gorillas that feature them running in big green fields. 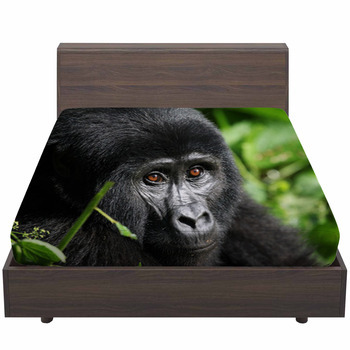 Some of our shots have a few close-up scenes of gorillas with their facial features clearly being visible with their expressions all clear and simple. 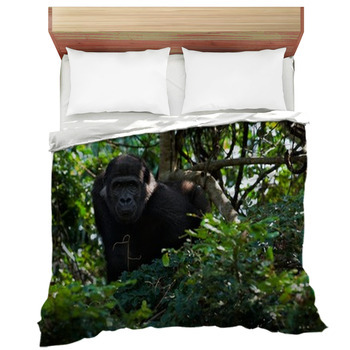 You can also find a few different bedding sets that feature pictures of gorillas with their young. 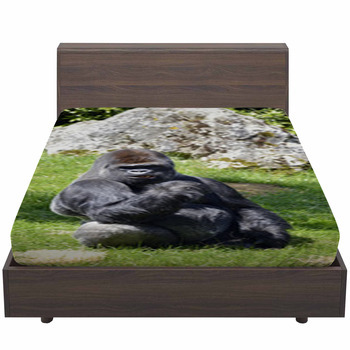 Some baby gorillas can even be seen on its own designs. 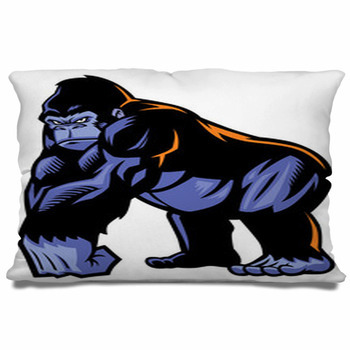 We have a few art designs with gorillas as well.  These include scenes of gorillas running with their black coats being easily visible. 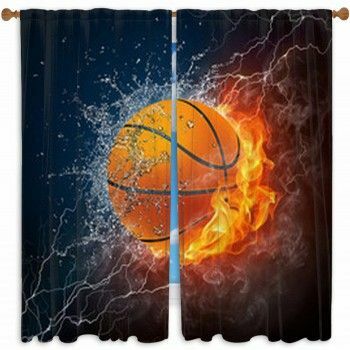 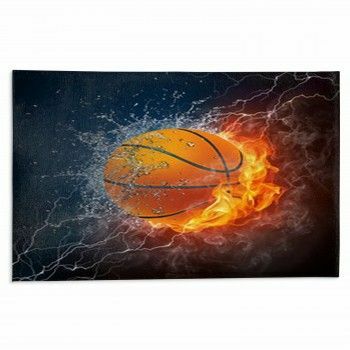 We have some black and white and full color designs to choose from when finding something appealing to add. 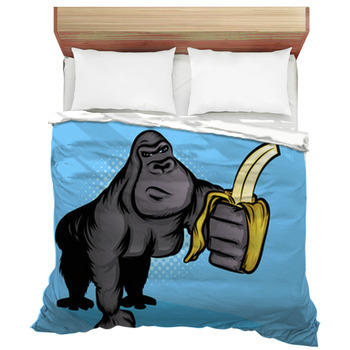 Many of these designs include some realistic shots but we have a few cartoons with them holding bananas and doing other things just as well.